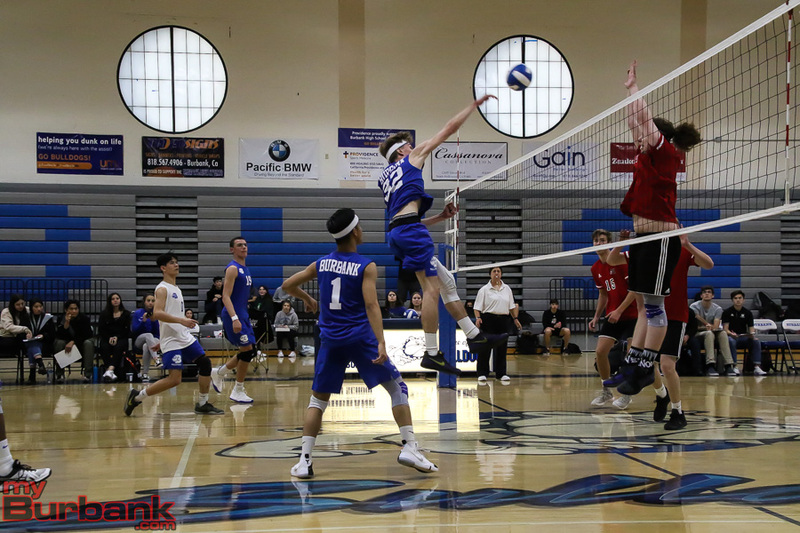 Expectations are usually high for the Burroughs High and Burbank boys’ volleyball teams when it comes to the Pacific League race and beyond. The Indians have captured the league title nine straight seasons, so naturally a 10th is a goal along with advancing far in the CIF Southern Section tournament. The Bulldogs made the playoffs and despite not winning the league title, also have serious designs on the prize. 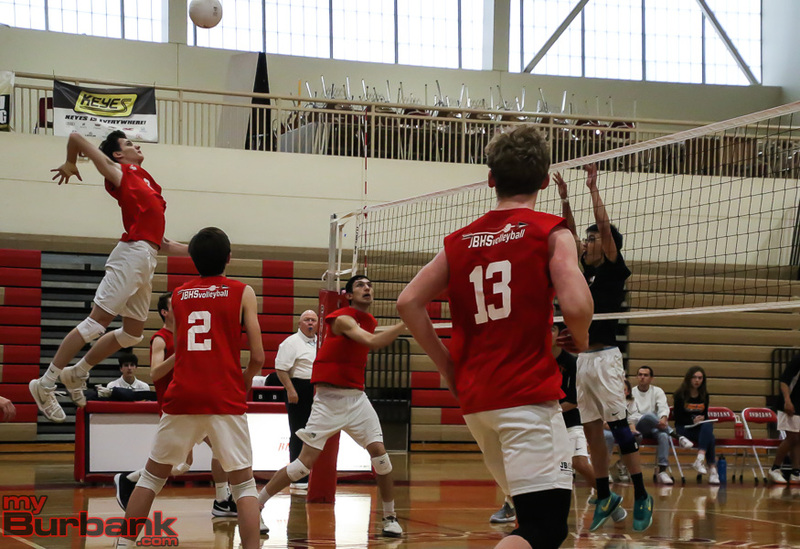 Burroughs opened its season with a sweep of visiting South Pasadena, but lost at Palos Verdes. The Indians bounced back with a sweep over Culver City in the Redondo Tournament, but dropped matches to Newbury Park, Redondo Union, Peninsula and Loyola. “The guys have to understand that there’s nothing ever given. Everything is earned,” Brinton said of being the defending league champion. Burroughs began its league season on Wednesday with a three-game shutout at Glendale and will play at Burbank on March 29 and then host the Bulldogs on April 23. 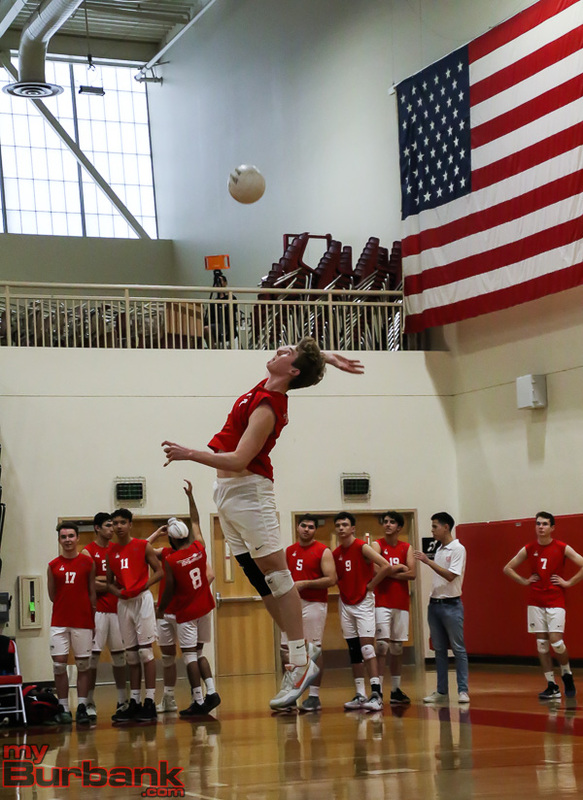 In any given match, the Burroughs’ offensive leaders will vary, but one that will always be at or near the top, is junior outside hitter Connor Burroughs. Senior libero Sam Tipton will also have eyes on him and though a sophomore, setter Carter Cottrell is also vital. 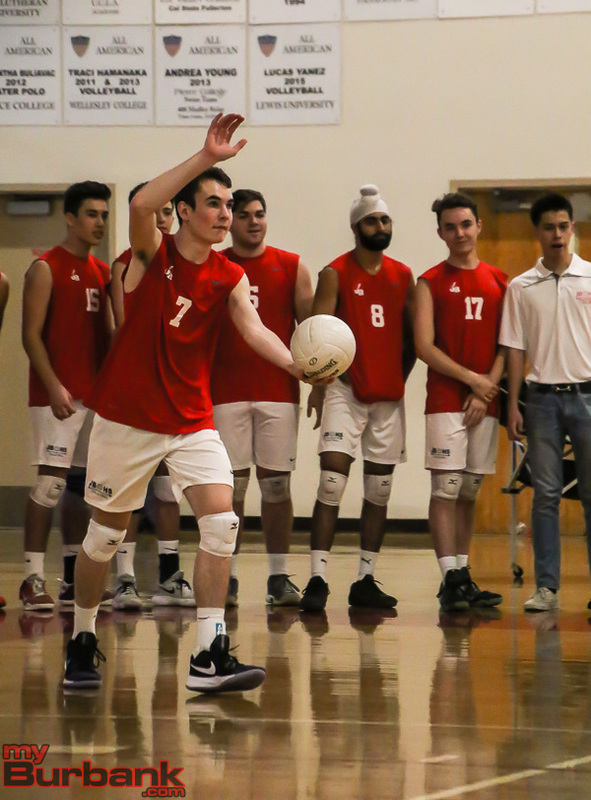 There are eight seniors and aside from Tipton, includes outside hitter Luke Kvarda, outside/opposite hitter Evan Troncoso, middle/outside hitter Rickey Kahlon, setter Steven Grandinetti, outside hitter Caleb Reyes, middle hitter Jagger Green and middle hitter Louis Zekowski. Other members includes junior middle hitter Ellington Simmons, junior outside hitter Malek Sadi and junior middle hitter Troy Outwater. The rest are sophomore libero/outside hitter Cole Kvarda, sophomore middle hitter Shay Thornton and sophomore outside/opposite hitter Kade McGovern. 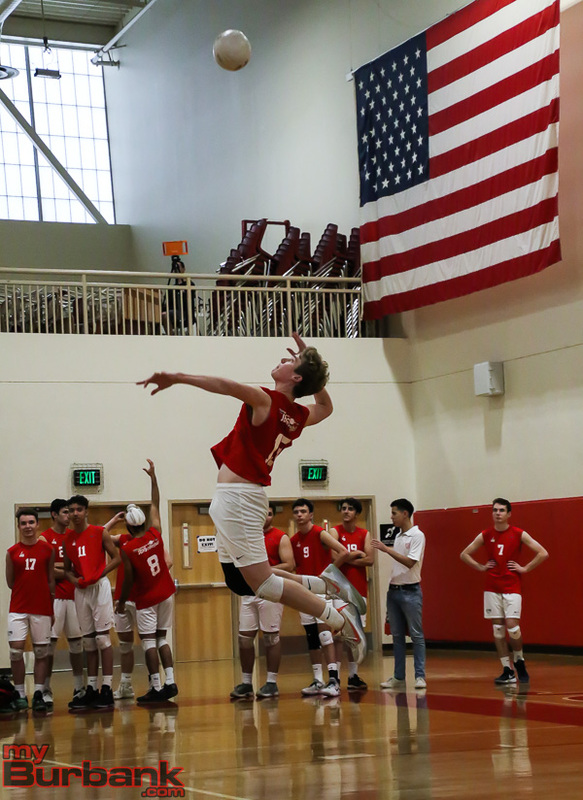 The Bulldogs, who began their campaign with a loss at Harvard-Westlake, rebounded with victories over Hart and Viewpoint, are primed for a successful season with senior outside/opposite hitter Chase Marcy leading the way. Rojo then continued: “They need to play with maximum effort every time. 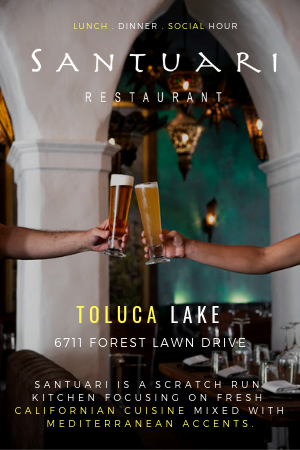 Their goals are playing well consistently, trying to knock off the big three [Burroughs, Crescenta Valley and Arcadia] and go as far as we can in the CIF,” he noted. Senior opposite hitter Jack Raytis will also be asked to lead while senior setter Brandon Villaflor will get the ball to the hitters. 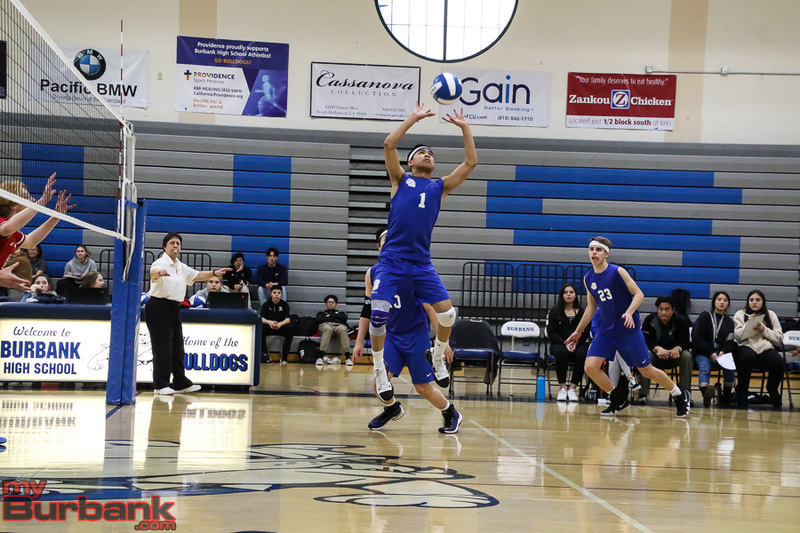 Senior middle blocker Kalam Park will have a key role as will senior Ryan Rickey for the Bulldogs, who begin their league trek with a match against visiting Hoover on Feb. 28. 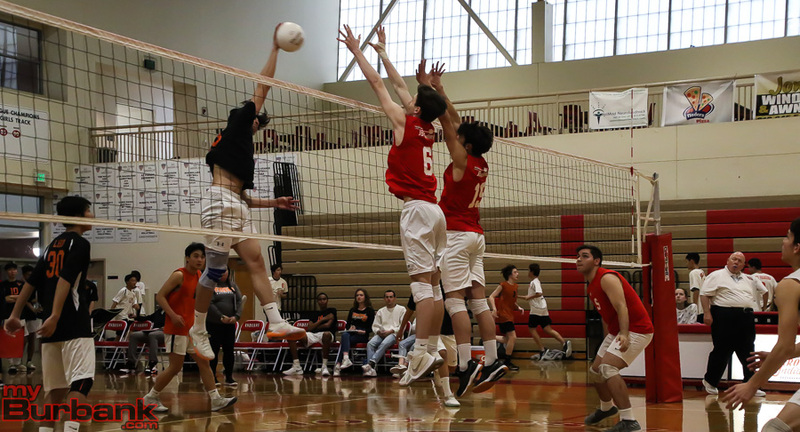 The other seniors include opposite/middle blocker Luca Bily, middle hitter Dawson Koerper, setter Jason Kwon, libero Ryan Mehta, defensive specialist Minkyu Shin, middle blocker Kalam Park, opposite/outside hitter Dylan Vigar and outside hitter Nathan Mehta. Also on the squad are junior defensive specialist Joe Gomez, junior outside hitter Kourosh Dolatshahi, junior middle blocker Eric Galoustian and sophomore outside/opposite hitter Jonathan Coleman. This entry was posted in Boys Volleyball, Sports and tagged boys volleyball, Brandon Villaflor, Burbank High, Burroughs High, Caleb Reyes, Carter Cottrell, Chase Marcy, Cole Kvarda, Connor Burroughs, Dawson Koerper, Dylan Vigar, Ellington Simmons, Eric Galoustian, Evan Troncoso, Jack Raytis, Jagger Green, Jason Kwon, Joe Gomez, Jonathan Coleman, Kade McGovern, Kalam Park, Kourosh Dolatshahi, Louis Zekowski, Luca Bily, Luke Kvarda, Malek Sadi, Minkyu Shin, Nathan Mehta, Pacific League, Rickey Kahlon, Ryan Mehta, Ryan Rickey, Sam Tipton, Shay Thornton, Steven Grandinetti, Troy Outwater on February 28, 2019 by Rick Assad. Sometimes a season opener can go sideways and turn out poorly, which isn’t the way to commence a campaign. 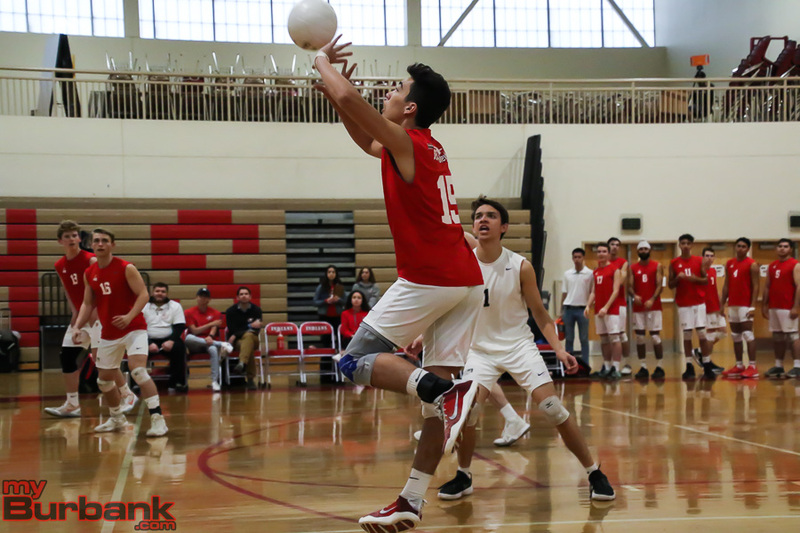 This didn’t happen for the Burroughs High boys’ volleyball team which needed only 68 minutes in order to sweep visiting South Pasadena in a nonleague battle. 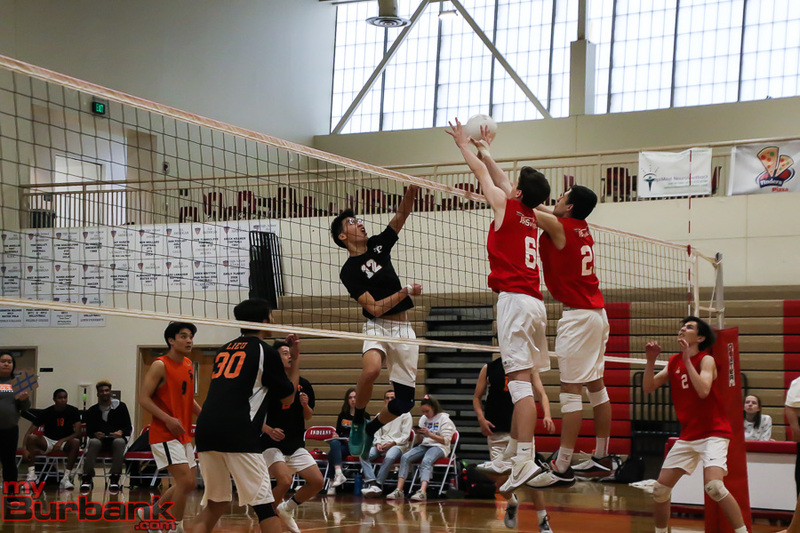 The Indians have been the gold standard in the Pacific League, winning nine straight banners, and though not in midseason form, they were good enough to emerge with a win, 25-18, 25-13, 25-17 over the Tigers on Wednesday afternoon. Junior outside hitter Connor Burroughs laid the ground work after tallying a match-high 16 kills with four of the Indians’ 11 aces. Brinton asked for stoppage when the Tigers came within 21-15 in the first set, but the Indians rallied and held their ground and captured the initial frame. The third set was knotted at 2-2 before the Indians steamed ahead 7-4 on an ace from sophomore outside hitter/opposite hitter Kade McGovern (nine kills). McGovern added a spike to make it 8-6 and senior middle hitter Jagger Green collected two blocks that gave the Indians a 10-6 margin. 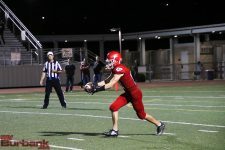 A stuff from Burroughs handed the Indians a 13-8 advantage and when McGovern added a winner, the lead stretched to 14-8. McGovern’s kill extended the lead to 16-10 and a spike from junior middle hitter Ellington Simmons pushed the cushion to 16-11. When Burroughs added a kill, the Indians surged ahead 20-13 and an ace from sophomore setter Carter Cottrell (31 assists) made it 22-14 as South Pasadena asked for a time. 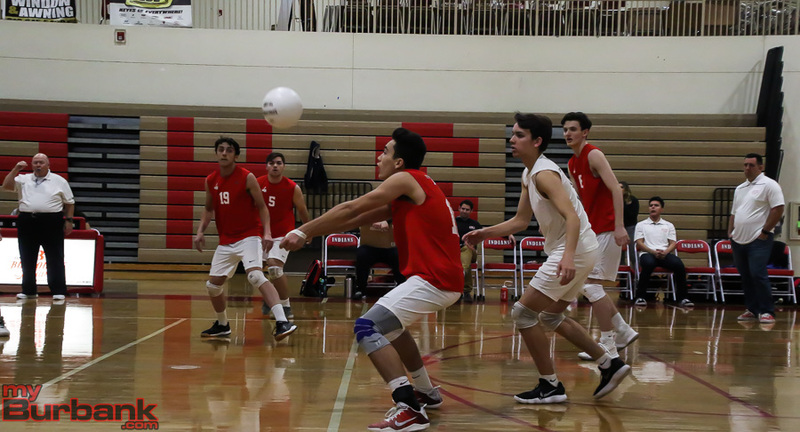 Junior outside hitter Malek Sadi’s rocket made it 23-14 and when senior outside hitter/opposite hitter Evan Trancoso tossed in a kill, the set and match was over. 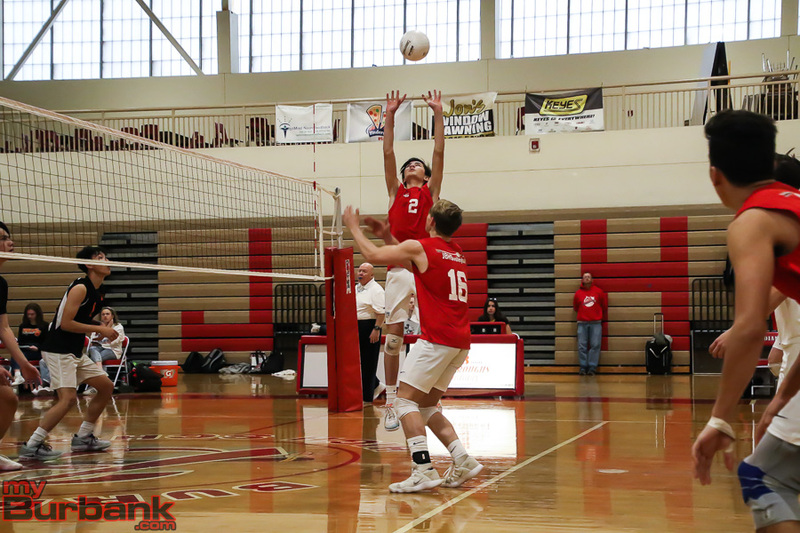 In the opening game, the Indians dashed ahead 4-2 on a blast from junior middle hitter Troy Outwater and when Cottrell contributed an ace, the lead expanded to 5-2. A service winner from Burroughs pushed the advantage to 8-3 for the Indians. Senior outside hitter Luke Kvarda’s kill extended the lead to 9-4 and back-to-back service aces from Outwater made it 11-4. McGovern’s dagger and a tapper from Burroughs supplied the Indians with a 14-6 lead as the Tigers requested a stoppage in play. 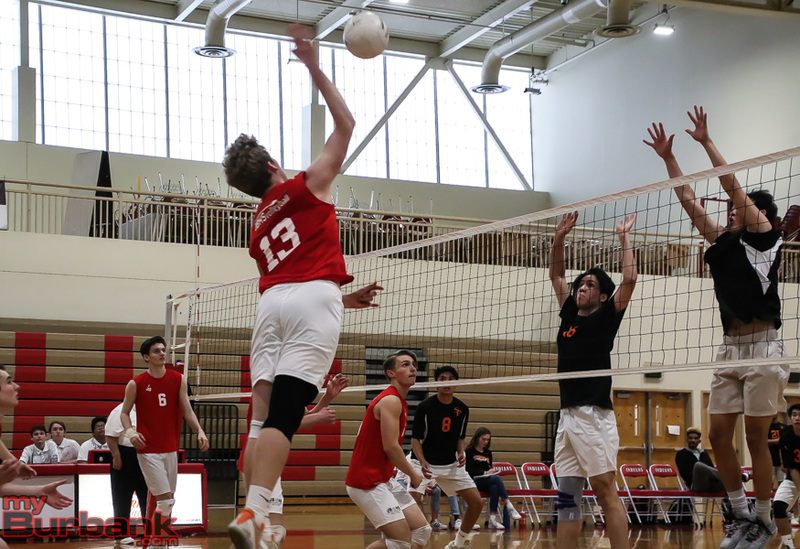 Consecutive kills from Burroughs saw the Indians dash in front 16-9 and when Outwater added a laser and senior libero Sam Tipton (six digs) contributed an ace, the lead swelled to 18-9. 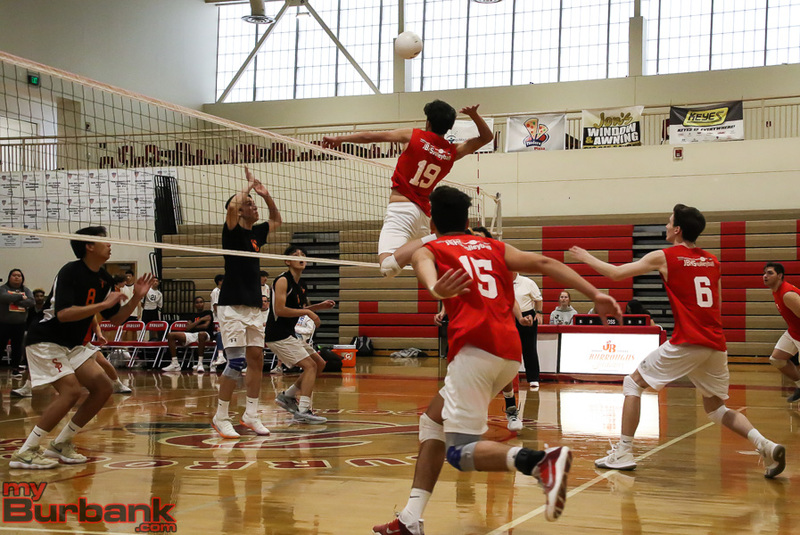 A block and a kill from Burroughs then handed the Indians a 21-11 cushion and a kill from senior middle hitter/outside hitter Ricky Kahlon made it 21-15 as the Tigers asked for time. 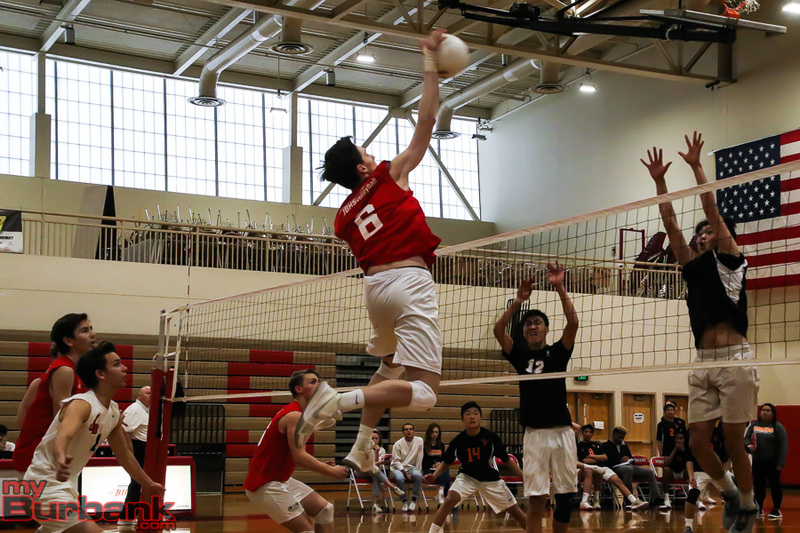 Burroughs then outscored South Pasadena 4-3, including the clinching kill by McGovern. The middle game saw the Indians burst ahead 5-3 on a service winner from Cottrell. An Outwater kill made it 8-6 and a spike from Burroughs gave the Indians a 9-7 cushion. McGovern’s ace put the Indians in front 10-7 and another service winner by Kvarda pushed the lead to 13-9. A taper from Burroughs gave the Indians a 15-10 edge, McGovern’s dagger extended it to 17-11 and a Burroughs bullet saw the Indians glide ahead 18-12. Consecutive service aces by Burroughs saw the Indians draw ahead 22-12. A combined block by Outwater and Sadi made it 23-12, a Burroughs kill stretched the Indians’ edge to 24-12 and Sadi’s winner made it a two games to none lead. 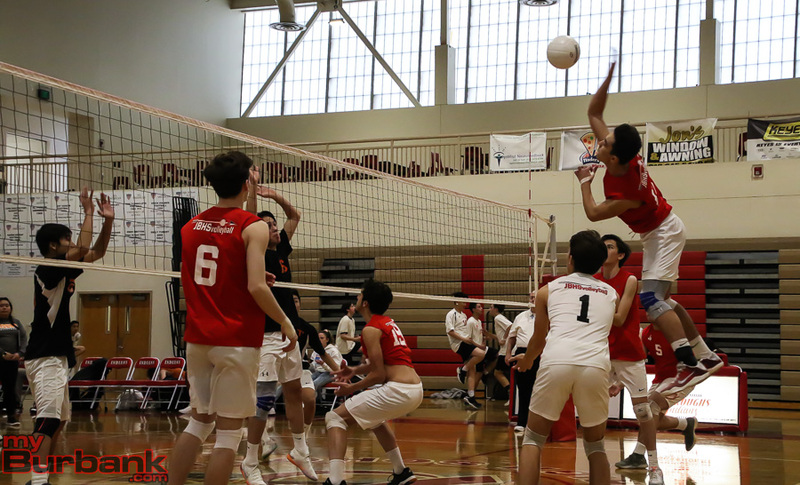 This entry was posted in Boys Volleyball, Sports and tagged boys volleyball, Burroughs High, Carter Cottrell, Connor Burroughs, Ellington Simmons, Evan Trancoso, Jagger Green, Kade McGovern, Luke Kvarda, Malek Sadi, nonleague, Ricky Kahlon, Sam Tipton, Troy Outwater on February 21, 2019 by Rick Assad. The Burbank and Burroughs boys’ basketball teams will be hoping to move forward this season after both experienced mediocrity last season. Both are solid and should be ready to go for Pacific League play, which begins today. Things have changed for the Bulldogs as Ernest Baskerville, who once was the head coach at Providence High, has taken over for Jamayne Potts, who took the Village Christian position. A few players have left the program with the change of coaches, but the Bulldogs have looked solid in the early part of the season. 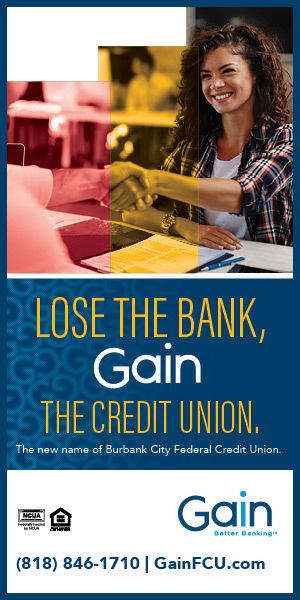 Burbank has no superstars, but also doesn’t have any weaknesses. Senior Erik Harutyunyan, at 6-foot-2, will generally take the toughest defensive assignments. 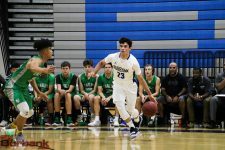 Senior Miles D’Agostin (5-10), nephew of former Burbank girls’ basketball coach John D’Agostin, has been very impressive in the early part of the season with his hustle and outside shooting capabilities. At the point guard position the Bulldogs have senior Jared Pasion (5-9), senior Issac Anglade (5-10) and junior Ben Burnham (6-0). On the wings and inside Burbank has a solid core of seniors. Chance Van Hook, Guram Dubadze, Satchel Bookchk and Clarence Tahmasian are all 6-2. Junior Kevin Sarkes is the tallest on the team at 6-4. Junior Leo Tahmasian (6-0) and sophomore Abiel Pearl (6-1) have both show promise in the early part of the season. Seniors Angel Ibarra (6-1) and Jalen Clark (6-0) have played key roles. The Indians have grown up quickly with many new faces under third-year coach Allan Ellis. Junior Nick Garcia, who played some quarterback in football, is expected to see significant minutes at the point guard position. Senior Brian Oasey is a combo guard who could also see time at point guard. The Indians will also look to juniors Emery Goulet, Carson Cardenaz and Evan Zamora as well as senior Aaron Amanios to make key contributions in the back court. In the front court, Burroughs will look to seniors Peter Filippi, Steven Johnson, Sammy Solis and Walker Miller. Junior Ellington Simmons is coming of a fine football season as a receiver and will also give the Indians some height inside. This entry was posted in Boys Basketball, Sports and tagged Aaron Amanios, Abiel Pearl, Angel Ibarra, Ben Burnham, Brian Oasey, Burbank boys basketball, Burroughs Boys Basketball, Carson Cardenaz, Chance Van Hook, Clarence Tahmasian, Ellington Simmons, Emery Goulet, Erik Harutyunyan, Evan Zamora, Guram Dumbadze, Issac Anglade, Jalen Clark, Jared Pasion, Kevin Sarkes, Leo Tahmasian, Miles D'Agostin, Nick Garcia, Peter Filippi, Sammy Solis, Satchel Bootchk, Steven Johnson, Walker Miller on December 4, 2018 by Jim Riggio. It hasn’t been the easiest of seasons for the Burroughs High football team. But the Indians certainly haven’t lost football games because of a lack of effort. Friday night the Indians put together a solid performance against host Pasadena, coming up short 35-32. Alex Deptula scored on a 2-yard run with 31 seconds left, giving Burroughs a chance to attempt a last-second effort at an onsides kick. Pasadena (5-4, 3-3 in league) recovered that attempt, however. Burroughs (2-7, 2-4) overcame a 14-0 deficit. Quarterback Nathan Piper hooked up with junior Ellington Simmons on a 16-yard touchdown with 5:36 left in the first half to make it 14-7. The Indians cut the deficit to 14-13 just before halftime when Alex Perez returned a fumble 78 yards for a touchdown. The extra point was blocked. The game was halted in the third quarter due to a hip injury to Burroughs defensive back Kyle Heyman. Heyman was alert and talking with paramedics prior to being transported to a local hospital. Following the delay, the game began to open up more as the defenses on both sides start to tire and the offenses started move the ball with ease. Piper and Simmons hooked up late in the third quarter, this time on a spectacular catch from the receiver. 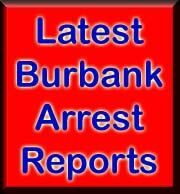 The touchdown gave Burroughs a 19-14 lead with 2:49 left in the third quarter after the two-point conversion failed. Pasadena battled back and regained the lead on a 1-yard run by Malachi Langley. Langley finished with 26 carries for 215 yards and a pair of touchdowns. Burroughs fought back as Luke Rogers scored on a 2-yard run midway through the fourth quarter to make it 25-21. But Pasadena’s 14-year-old freshman Mekhi Fox returned the ensuing kickoff 84 yards for a touchdown. It was Fox’s second touchdown of the game. Burroughs looked poised to get back down the field again. But the Indians’ next drive was halted on an interception by Pasadena’s Nicholas Benson. Langley then scored on a 79-yard run on the first play of the Bulldogs’ drive, making it 35-25 with 6:01 to play. Rogers led Burroughs on the ground carrying the ball 25 times for 96 yards. Piper also had 13 carries for 80 yards. Piper also completed 12 of 23 passes for 117 yards. 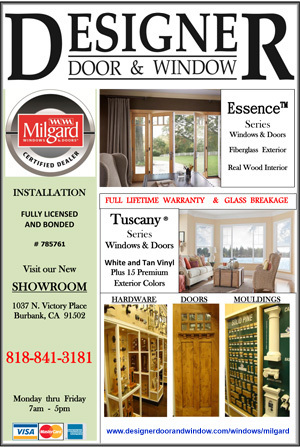 This entry was posted in Football, Sports and tagged Alex Deptula, Alex Perez, Burroughs Football, Ellington Simmons, Kyle Heyman, Luke Rogers, Nathan Piper on October 20, 2018 by Jim Riggio. Missing the CIF Southern Section playoffs the last two seasons was tough on the Burroughs High football program after the Indians had been a regular playoff participant over much of the past decade. First-year coach Rand Holdren realizes turning things around won’t be easy, but he feels the only direction his team is headed is up. 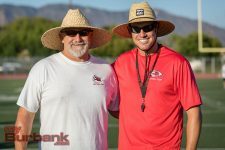 Holdren, who takes over for Mike Reily, is an offensive-minded coach who has most recently worked at Alemany High in Mission Hills after a stint at Harvard-Westlake in North Hollywood. “The guys were a little beaten down after last year. I want to get them all going in the same direction. That’s been our goal and mindset since day one,” Holdren said. ” We’re going to need all hands on deck. We don’t have any of the five star or four-star players or all that fancy stuff. We’re a group of guys that work together and that’s how we’re going to win ballgames. Holdren will benefit from having longtime head coach Keith Knoop on his staff as his defensive coordinator.The Indians open the season Aug. 23 on the road against West Ranch of Stevenson Ranch. Burroughs, which has 14 seniors, returns starting quarterback Nathan Piper (6-1, 170), who Holdren said had a good summer. Junior Nick Garcia (5-9, 170) also impressed Holdren and could see some time at quarterback. Junior David Garza (5-8, 150) and sophomore Luke Rogers (5-6, 145) have impressed as ball carriers. Seniors Johnny Factora (5-11, 155) and Andrew English (5-9, 195) and junior Alex Perez (5-10, 145) look to be passing targets for Piper. The offensive line is young, but appears to have a lot of potential. Senior Ferdy Hernandez (6-2, 250) is the veteran of the group. Junior Donovan Reyes (6-4, 205) will certainly offer trouble to opposing teams due to his size. The Indians also have junior Oscar Pette (6-3, 280), junior Allen Arriaga (6-2, 240), junior Eric Quintero (6-1, 220) and sophomore Austin Sowers (6-3, 240). The Burroughs defensive line will feature many of the same players that play on the offensive line. Senior Daniel Foxx (5-10, 190), junior Henry Diaz Jr. (6-0, 200) and senior Alex Deptula (6-0, 170) have all looked solid as linebackers according to Holdren. The defensive secondary figures to feature many of the players the Indians use offensively in the backfield and as receivers. Juniors Ozzy Perez (5-10, 150), Ellington Simmons (6-3, 180), Aiden Forrester (5-10, 168), Chance Spinks (6-0, 150) all could see a role in the secondary. With a young team, Holdren is setting realistic goals for his team. “For us it is to reach our full potential,” he said. 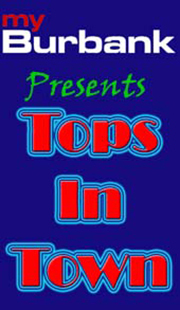 This entry was posted in Football, Sports and tagged Aiden Forrester, Alex Deptula, Alex Perez, Allen Arriaga, Andrew English, Austin Sowers, Burroughs Football, Burroughs Football Preview, Chance Spinks, Daniel Foxx, David Garza, Donovan Reyes, Ellington Simmons, Eric Quintero, Ferdy Hernandez, Henry Diaz Jr., Johnny Factora, Luke Rogers, Nathan Piper, Nick Garcia, Oscar Pette, Ozzy Perez, Rand Holdren on August 12, 2018 by Jim Riggio.